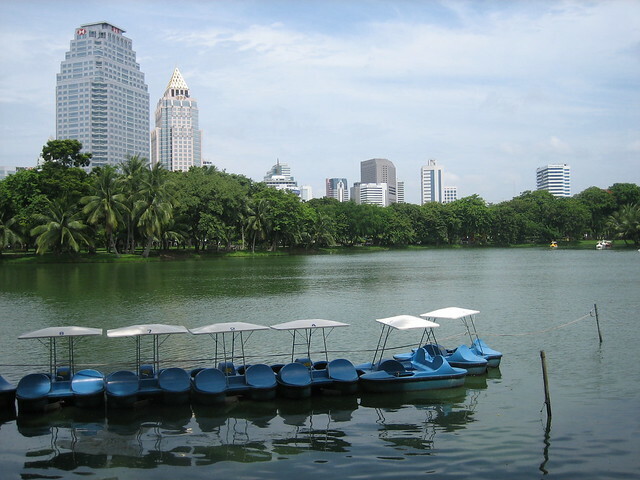 Lumphini Park is a place for fresh air and tranquility within the city. This place hosts many activities for Bangkokians, from aerobics, yoga, light to moderate workout, jogging and many fitness activities. Early morning and dusk is the best time to see nine to five workers freshening themselves up and on weekends this ground is full of families and kids all around the city doing rowing, paddle boating, other fun activities with their elders. When it comes to food Bangkok never disappoints so does Lumpini Park. Vendors outside of Lumpini serves delicious pad Thai and Jim room, a meat and vegetable hot pot .try the local contribution of detox- wheat-grass juice. Deep fried turnips and vegetable patties are the favorite ones of them all. This park is situated by the roads Rama IV and Ratchadamri as well as Sarasin and wireless. It is within a short walking distance to both Lumpini and Silom underground station.